Since 1988, Cobourg Retirement Residence has been providing a comfortable, homelike environment for seniors in our community. 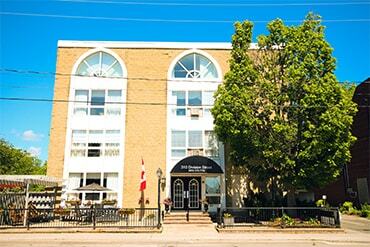 Ideally located in the heart of historic, downtown Cobourg, also known as “Ontario’s Feel Good Town,” we strive to promote a sense of comfort and well-being. Amenities such as banks, cafés, shops and churches, as well as charming Victoria Park on the waterfront of Lake Ontario, are close by. We take pride in providing a high quality of care, excellent customer service and delicious meals. Our dedicated staff, combined with our convenient location and friendly atmosphere, make Cobourg Retirement a wonderful place to call home.